Google Street View is a remarkable application for sure, but occasionally, when exploring some of the world’s great cities, you can almost taste the fumes from all the traffic clogging up the streets. Sometimes it would be nice to take a left turn into a park for a bit of peace and quiet, and to explore some of the city’s greener offerings. Well, now you can. In a post on its official blog on Tuesday, Google announced a big increase in the number of parks now available on its Street View service. Rather than having its camera-laden car chugging through the parks disturbing the peace, Google sent photographers out on its Street View camera-laden tricycle instead. The blog post includes some examples of its work, such as a stroll along Manhattan’s unique High Line park, a mile-long elevated green space laid out on a former railroad. 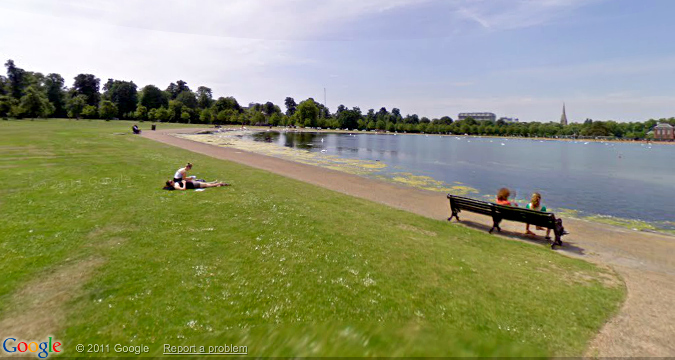 London’s Kensington Gardens has also been covered by the Street View trike, as has Tokyo’s Koganei Park. Google Street view has been exploring off-road more and more this year. In February the company announced it was bringing museums to its service, and in August a trip down the Amazon River was being offered to armchair travelers. Then only last week Google said it was offering shops and businesses the chance to be mapped. With the way things are going, we may not be far off getting a knock at the door from a Google employee with ten cameras strapped to his head asking if he can come in and map our home.